Stansbury’s Hannah Anderson (11) drives to the basket as Bonneville’s Lily Hall tries to take a charge during Tuesday’s Region 11 girls basketball game at Bonneville High School in Washington Terrace. Bonneville won the game 40-28, handing Stansbury its second region loss of the season. Stansbury’s Kayla Alvey defends a Bonneville inbounds pass during the first half of Tuesday’s Region 11 girls basketball game at Bonneville High School in Washington Terrace. Bonneville won the game 40-28, taking a one-game lead over Stansbury for the top spot in the region standings with five games left in the regular season. 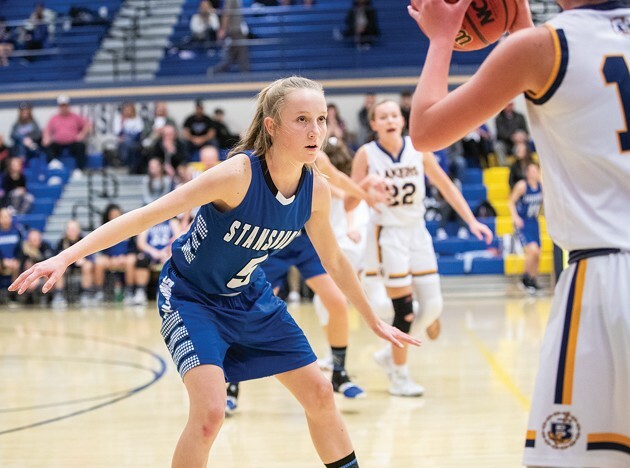 The Stansbury girls basketball team did just about everything coach Kenzie Newton could have asked in Tuesday’s key Region 11 contest against Bonneville in Washington Terrace. The Stallions played stifling defense, shut down the Lakers’ top scorer and put forth the kind of effort befitting of a game between the top two teams in the region in the final weeks of the regular season. 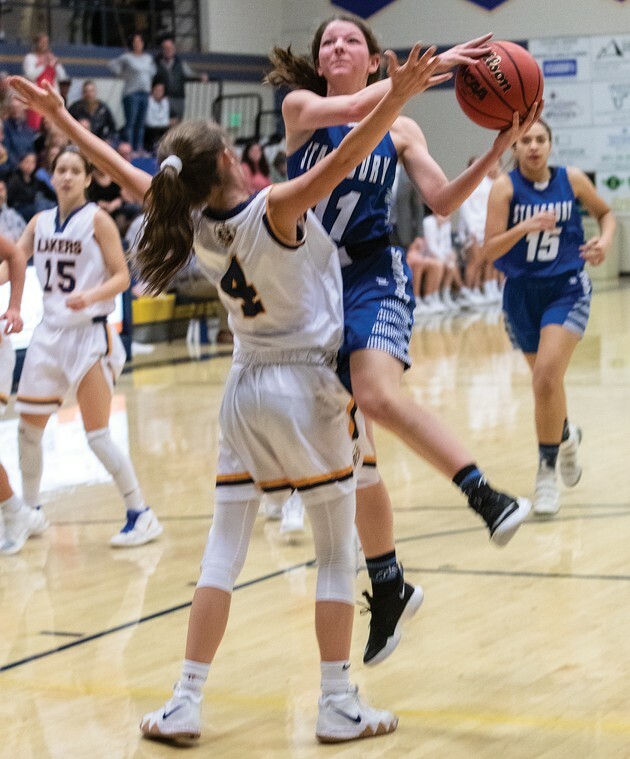 Unfortunately for Stansbury, the one thing that was missing was offense, as their shots were off-target all night long in a 40-28 loss that dropped SHS a game behind the Lakers for the top spot in the region. Stansbury (8-9, 5-2 Region 11) got out to an early 3-0 lead in the first quarter, but gave up six quick points over the next two minutes to allow Bonneville (12-5, 6-1) to pull ahead. The Stallions tied the game on a layup by Kalee Philips and a free throw by Kenzi Knudsen, but the Lakers’ Karly Conolly drained a buzzer-beater from beyond the halfcourt stripe to give Bonneville a 9-6 lead after the first quarter — a lead the Lakers never relinquished. The Stallions closed to within a point with 5:35 left in the first half on a layup by freshman Ainsley Thurber, only to see Bonneville close the half on an 8-2 run to take a 19-12 lead at halftime. Still, Stansbury refused to go away, as an and-one by Knudsen pulled them within five points with 3:14 left in the third quarter, and a pair of 3-pointers by Hannah Anderson had the Stallions down 28-24 with 7:13 left in the game. However, the Stallions couldn’t complete the comeback, and Bonneville closed the game on a 12-4 run to clinch the season series. “A few times, we had it within five and had a good look at a 3 or a layup and just couldn’t finish to get over that hump,” Newton said. 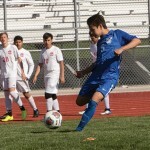 The loss means Stansbury has to hope Bonneville loses at least two of its remaining five region games in order for the Stallions to win the region championship, though the Stallions still hold a one-game lead over Tooele and Juan Diego for second place and the home playoff game that comes with it. Bonneville’s Jenna Czarnecki, who came into the game averaging 12.2 points per contest in region play, scored just five on Tuesday after putting up 18 in the Lakers’ first meeting with the Stallions on Jan. 8. In fact, nobody on either team reached double-figures, with Lily Hall’s nine points leading the Lakers and Knudsen’s eight leading Stansbury. 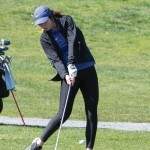 Anderson had seven points for the Stallions and Mackenna Sargent added four. Thurber, Epa Tia, Philips and Madison Welch each scored two points and Kayla Alvey had one. Courtnie Porter and Ginny Jenkins each scored eight points for Bonneville. 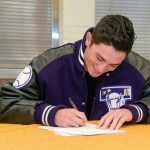 Stansbury will play host to Ogden on Friday night before traveling to Tooele on Tuesday.